Backboard and rim combo designed to mount on a square pole or wall. 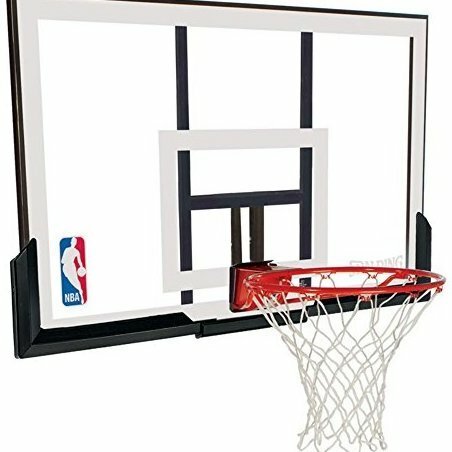 52-inch, 4.5mm acrylic backboard with steel frame Pro Slam breakaway rim holds up well against emphatic slam dunks. White all-weather net; 2-7/8-by-2-1/2-inch rim hole pattern. Weighs 40 pounds; 5-year backboard warranty and 1-year rim warranty.